There are thirty species in Southern Africa, many of which are very obscure. 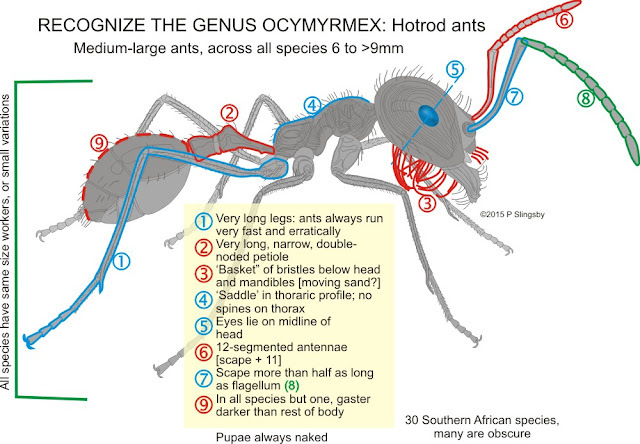 The true Hotrod ant, Ocymyrmex barbiger, is the most common. 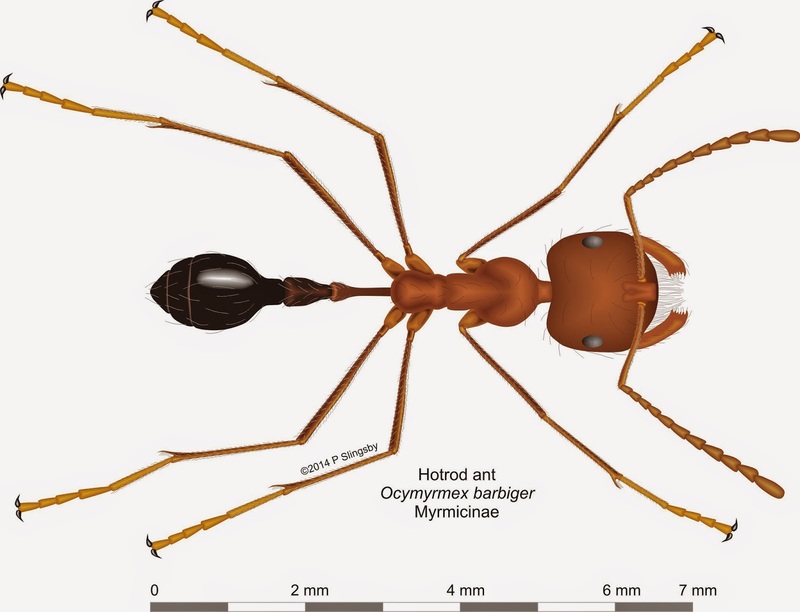 The ants run around at great speed and, as the scientific name implies, they have a ‘beard’ or basket of bristly hairs beneath their heads, which seems to be solely used for removing sand grains from their nests. They are most active on very hot days and so are not often seen, although in some arid areas they are quite common. They might play a minor role in the dispersal of some fynbos seeds. 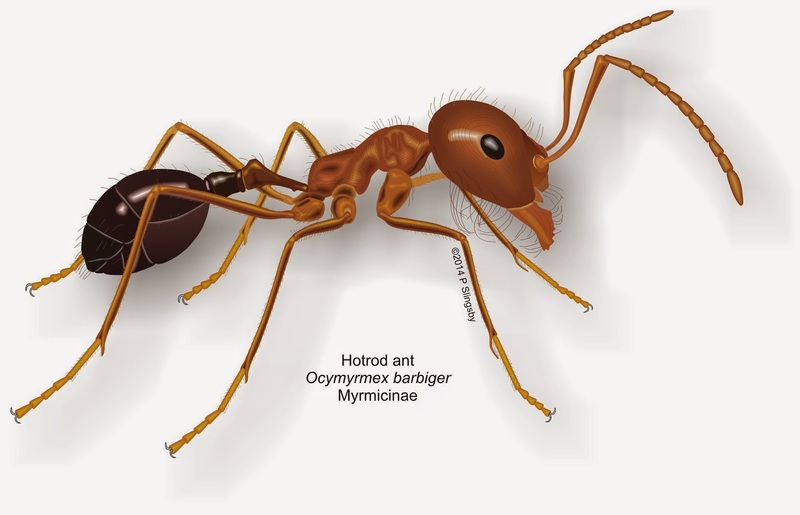 Hotrod ants make shallow, underground nests consisting of a few tunnels and chambers, and the colonies are usually quite small in number. The queens closely resemble the workers and are difficult to distinguish from them.